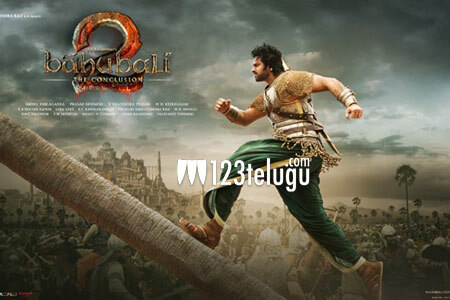 Music Review : Baahubali 2 – Keeravani puts his heart and soul! The pre-release event of numero uno director SS Rajamouli’s ambitious magnum opus, Baahubali The Conclusion, is underway at the Ramoji Film City. The film’s much-awaited audio album was unveiled during the event. Expectations were quite huge on The Conclusion’s audio album as the veteran composer MM Keeravani gave an unforgettable album for the first version, The Beginning. Let’s explore the soundscape of Baahubali The Conclusion. Analysis: The songs starts off with noted Punjabi singer Daler Mehendi’s thunderous chanting, “Bhali..Bhali..Bhali Raa..Bhali.. Saahore Baahubali” and goes on​ to describe Amarendra Baahubali’s valor in what seems to be his coronation ceremony. The introduction part in the song hails the Queen Mother Sivagami Devi’s greatness. Keeravani’s thumping orchestration, Daler Mehendi’s explosive vocals and Shivashakthi Datta and Dr. K.Ramakrishna’s powerful lyrics make this song an instant earworm. Analysis: This romantic duet between Amarendra Baahubali and his lady love Devasena offers a melodious treat to the ears. Devasena pours her heart out and displays her love for Baahubali in this number. This song must be featuring splendid VFX. Fans have been eagerly waiting to see the Baahubali-Devasena love track and Chaitanya Prasad’s poetic lyrics, Sony and Deepu’s mellifluous vocals overall will quench the fans’ thirst to the fullest. Analysis:Music director MM Keeravani turns lyricist for this what seems like a lullaby in which Devasena sings for Lord Srikrishna. The song sounds quite routine and we will have to see if Anushka’s mesmerizing presence as Devasena will lift its significance on screen. Keeravani’s lyrics and Sreenidhi and Srisoumya’s vocals are adept. Analysis: This one is a heartwarming number. Rajamouli’s layered narrative magic can be felt throughout the song. While the first part narrates the pain of Mahismathi people who plead their king not to leave the kingdom, the second half has them celebrating his return/arrival, hinting that this song may feature both Amarendra Baahubali and Mahendra Baahubali. Kaala Bhairava adds depth to the song with his painful vocals and MM Keeravani’s tune is near to perfection. Analysis: Yet another heavy-duty number in the album, Oka Praanam seemingly narrates Kattappa’s heartbreaking betrayal of killing Baahubali, Baahubali’s sacrifice, the Baahubali-Bhallaladeva feud, Devasena’s distraught over losing her husband and son’s valoros fight etc. In one sentence, the film’s entire plot and a few crucial sequences have been glimpsed in this song. Yet again, Kaala Bhairava’s intense vocals and Keeravani’s rousing music make this song stand apart. Upon listening to these songs, one can feel the painstakingly meticulous efforts in bringing out an album which will surpass the fans’ expectations. Each song is richly filled with layers of the film’s drama and narrative. While the third song may sound pretty ordinary, the rest of the songs will surely go on to become chartbusters. On the whole, one can feel that Keeravani has put his heart and soul into the making of this epic album.